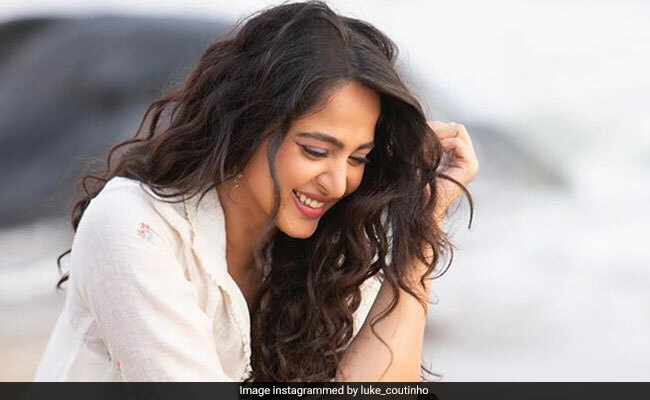 Baahubali star Anushka Shetty found herself a spot on the list of trends after she featured in new Instagram posts shared by holistic nutritionist Luke Coutinho recently. Anushka's new photos are particularly trending as the actress appears visibly toned down in them and fans on the Internet are of the opinion that she's had a makeover. In the photos, Anushka sports matching separates in white, paired with a cotton cape. On his Instagram, Luke Coutinho shared that some big announcement is in the waiting and from his caption, we get an idea that it's about lifestyle changes, body goals and health: "We have something coming up real soon... our vision is to change the health of the country, encourage investment in prevention and use lifestyle as the new religion and the magic drug... we aim to put the word "care" back into "healthcare"." Meanwhile, there was no room for trolls on Instagram and netizens could only agree how stunning and gorgeous she looks in the photos, which are quickly going viral now. For the uninitiated, Anushka Shetty had previously advocated for a healthy lifestyle and spoken at length about body image issues. The 37-year-old actress had bulked up with extra 20 kilos for her role in Size Zero, which released in 2015. She had refused to sport a body-suit for the role and followed a strictly supervised procedure to gain weight. Before she was yet to begin filming Baahubali, Anushka had told news agency IANS: "At one point, my legs hurt a lot as they couldn't bear the extra weight. But as actors we can't complain and take everything in our stride." Following the film, Anushka Shetty is said to have struggled to lose the extra kilos over the years and has often been trolled on the Internet for appearing to not conforming to absurd body goals. Anushka Shetty is also a yoga expert. Anushka Shetty is best known for her role in SS Rajamouli-directed Baahubali films. On the work front, Anushka Shetty was last seen in horror-thriller Bhaagamathie. The actress will begin work on Silence, co-starring R Madhavan and Anjali, which will also be a thriller. Meanwhile, Anushka Shetty has reportedly been roped in to play the female lead in the sequel of 2010 film Vinnaithaandi Varuvaayaa.